Hi & welcome to the blog! 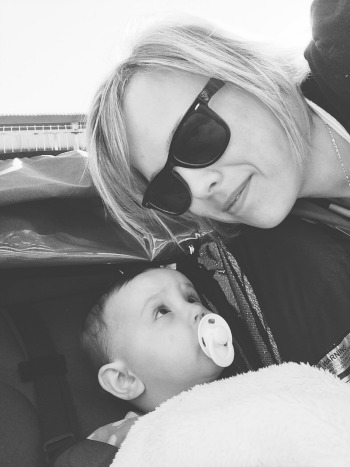 Do you nanny or work with kids? Maybe you’re an occasional sitter looking for fresh ideas? In search of key information with lots of pretty pictures to help you rock it in the nanny life? I’m Hope – a professional nanny based in Sydney, Australia. You probably know me as @NannyShecando. And let me tell you, this is the place for you! NANNY SHECANDO is a popular childcare blog with an international audience. The blog features craft activities, kid friendly recipes, educational tips aligned with early childhood development, and essential career resources for the in-home childcare sector. We also work closely alongside key industry personnel to bring you a better connected nanny industry. 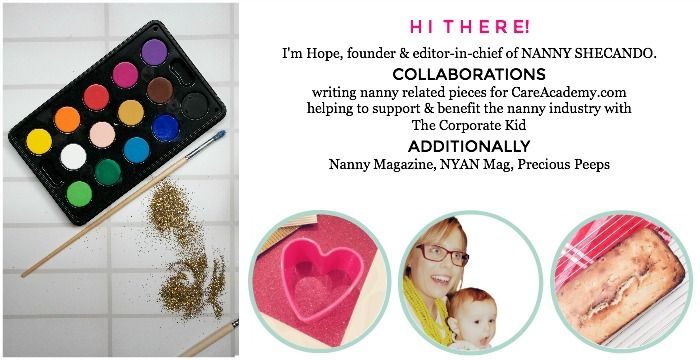 I’m Hope – professional nanny, freelance writer, amateur crafter, gourmet baker, and founder of the HOPE FOR NANNIES program. Being a nanny, I’m a big fan of craft & play, pretty colours, giggling children and cuddly babies. Based by the water in Sydney, Australia, I try to lead a healthy lifestyle, am a green smoothie lover, dark chocolate addict, occasional runner, and spend way too much time shopping online. On this blog, I strive to foster a friendly community for nannies to connect. My purpose is to support women in the childcare industry to take control of their life, their careers, and ultimately their happiness, to achieve their dreams. You are not “just the nanny”. Be courageous. When I’m not blogging, I enjoy reading, travelling, dreaming of a parisian lifestyle, baking indulgent treats and drinking lots of coffee. Oh, and I’m a total Pinterest addict. You can follow the NANNY SHECANDO Pinterest boards here. NANNY SHECANDO has written for Nanny Magazine, Sitter Cycle (now Care Academy), Precious Peeps, Not Your Average Nanny Magazine, Nanny2u, Happy Nest, Kid Magazine, The Work Her and Care For Kids. Go to Press. I go by the name of “Nanny Shecando” because I’m still waiting for my title as superwoman. Just kidding. Although I’m sure you know that having kids and looking after them can be a tough gig. The days can seem endless, the invasion of personal space seem intoxicating, and the endless nonsensical chatter seem draining. Then again, I’m sure you love the cuddles and the smiles and the high fives just as much as I do. book recommendations & services to take with you into the nanny life.